Are you thinking about a trip to Aulani? Then you should also be interested in the second part of this article. 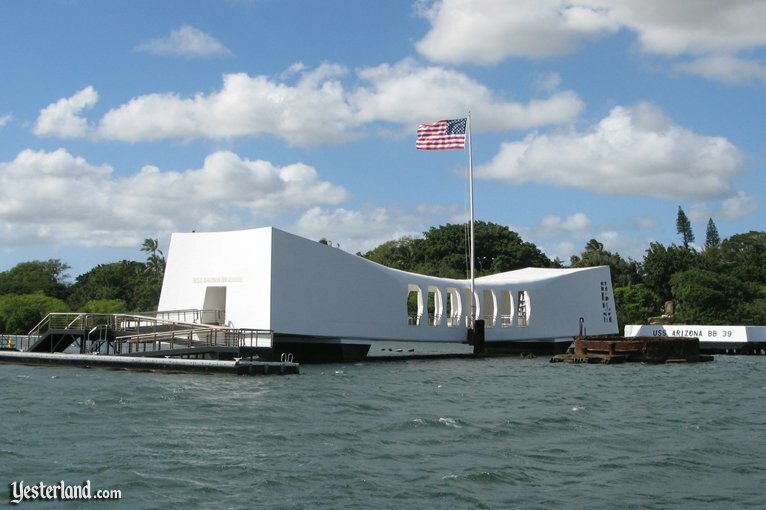 There’s more to visiting Pearl Harbor than many visitors know about. There are many beautiful things on O‘ahu. 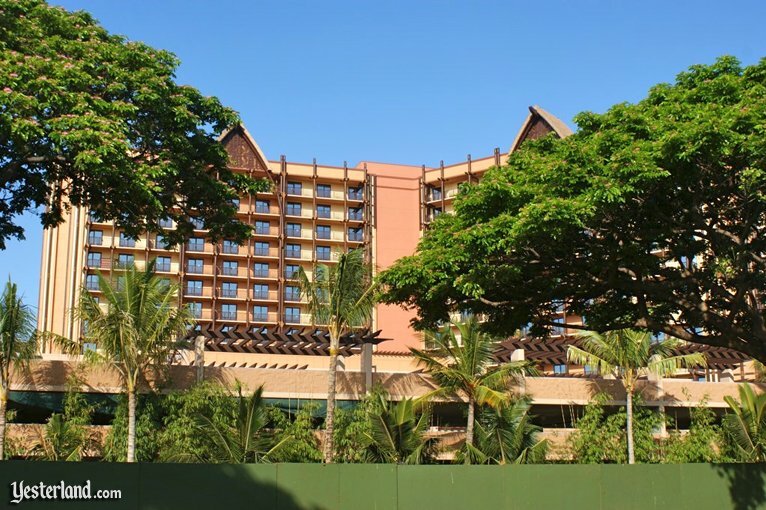 The tall, green plywood wall surrounding the Aulani construction site is not one of them. Some time between now and the resorts opening on August 29, the wall will come down—probably much closer to August 29 than to now. The landscapers will be able to finish their plantings along the edge of the property. Even then, its likely that guests will be kept from wondering onto the property until the official opening (unless theres a soft opening before then). The buildings of Aulani are huge. The structure should look a lot “friendlier” once it rises from landscaped grounds rather than from behind an intimidating construction wall. The palm trees behind the wall have already softened the appearance of the 15-story towers. 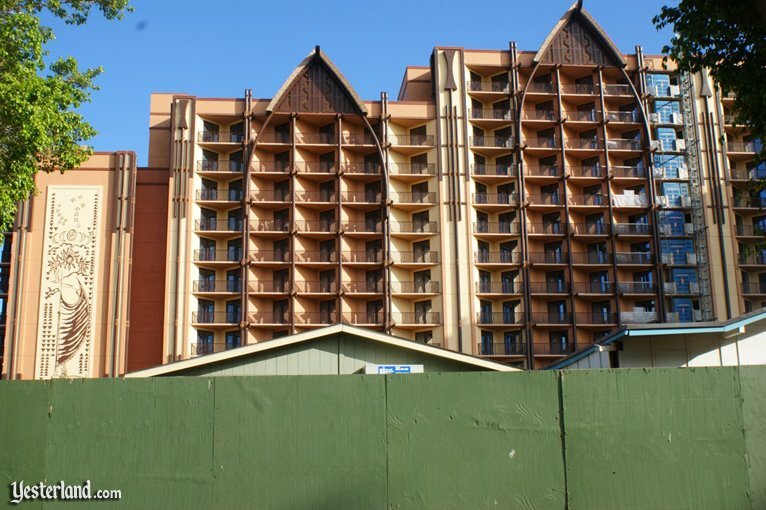 Aulani already looks finished from many angles, especially when the construction wall is hidden. 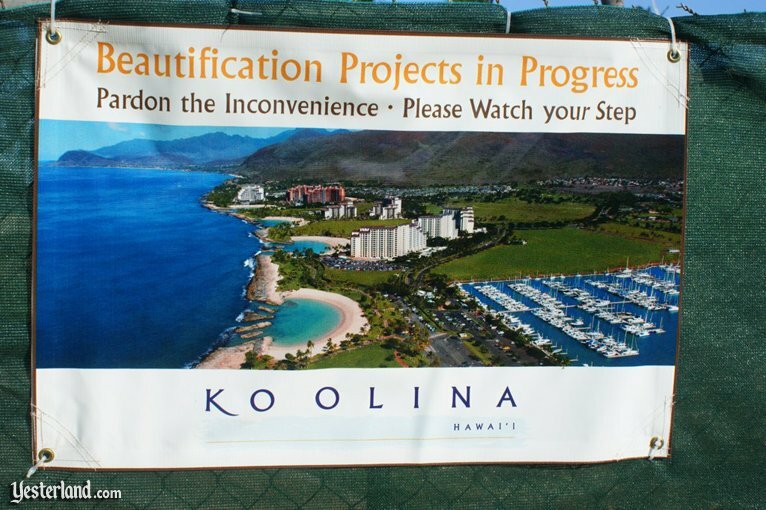 Theres fix-up work going on along the walkway that connects the four lagoons, four resorts, and marina and the Ko Olina Resort and Marina. The beachfront walkway, lighting, and landscaping should be in great shape by the time Aulani opens. The green construction wall is so tall that even the tallest NBA player cant look over it. But there is a way to look in. 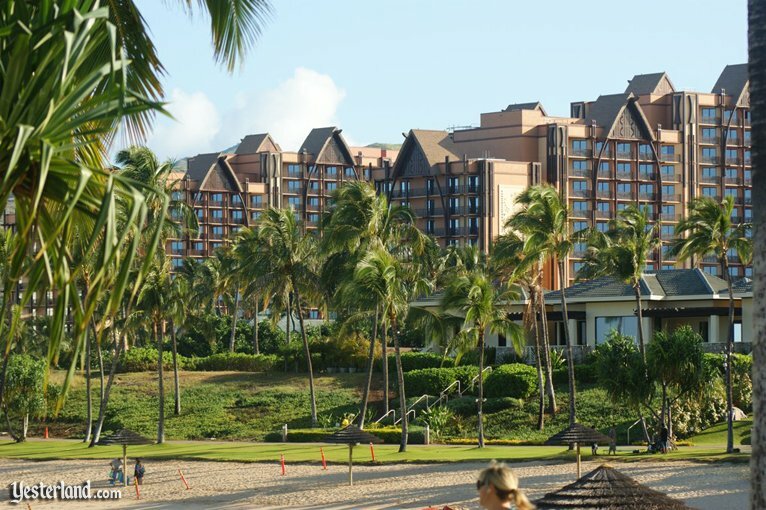 The JW Marriott Ihilani Ko Olina Resort & Spa next door is 16 stories tall, so its higher floors provide a great view into the Aulani site—at least into those parts that are not hidden behind buildings. 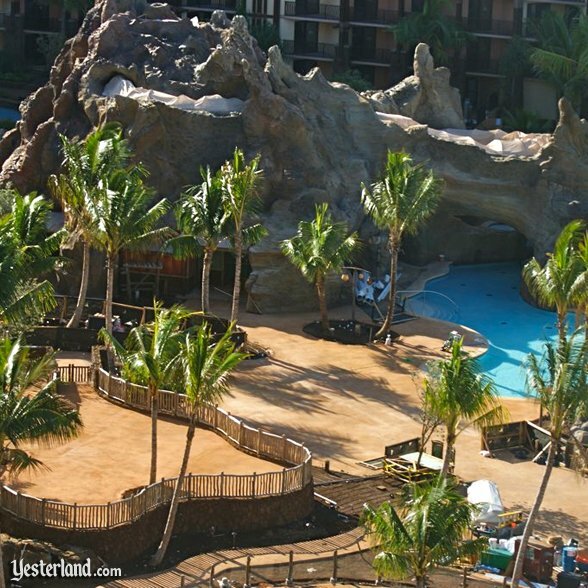 If youve read Yesterland.coms “Disney Goes Hawaiian” series, youve seen a basic framework develop into the Pu‘u Kilo volcanic outcropping. The photo above is from early June 2011. Are you ready to go for thrilling water slide ride from the top? 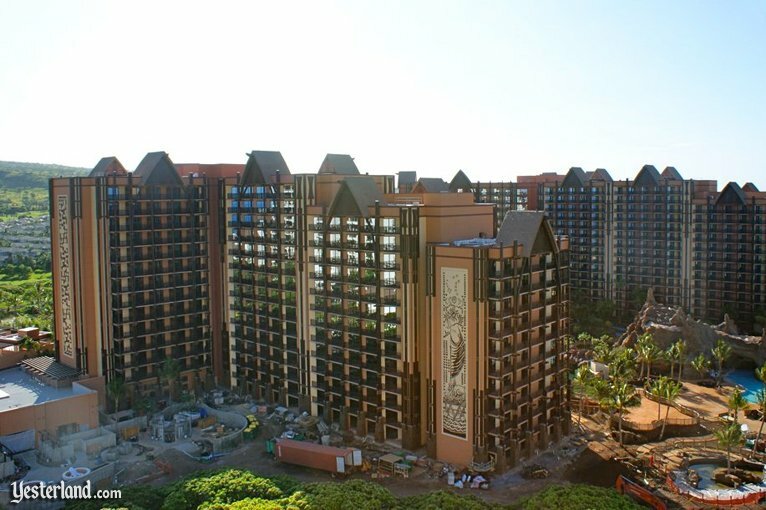 Aulani promises to be a great place to spend the day, not just to sleep at night. 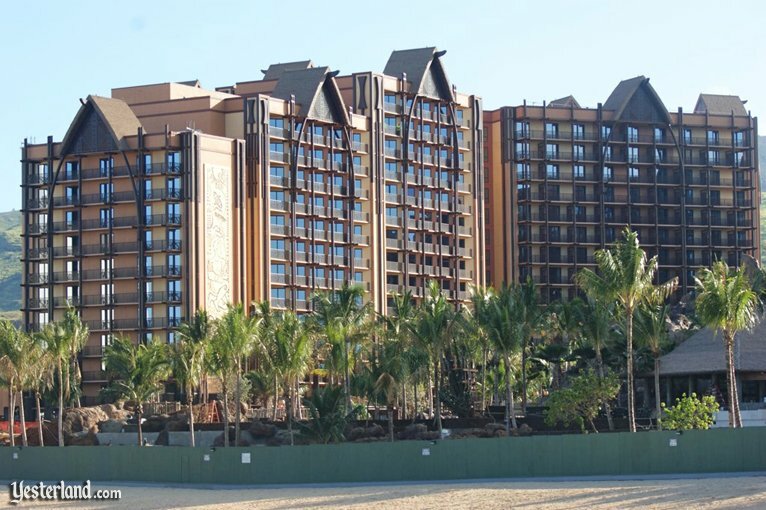 But no matter how nice the facilities of Aulani are, most guests will also want to visit other parts of O‘ahu. You can drive from Aulani to even the most distant corners of the island in not too much more than an hour. 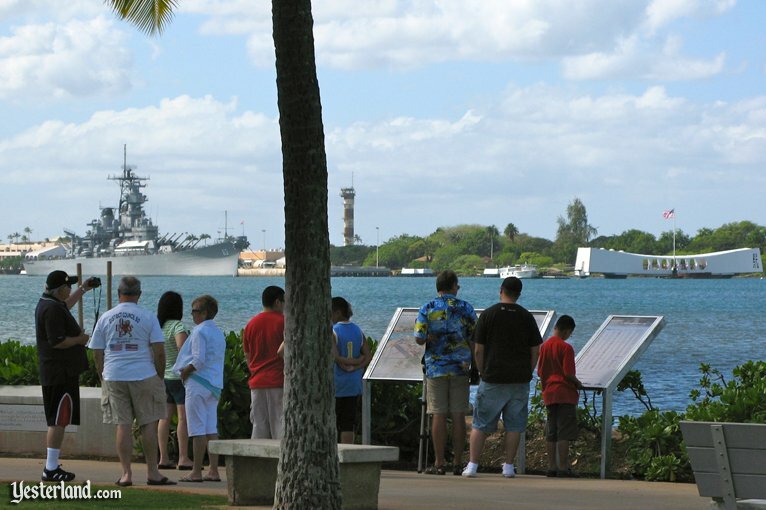 Pearl Harbor is on most first-time O‘ahu visitors “must do” lists. The Pearl Harbor Visitor Center is around 16 miles from Aulani, mostly by freeway. Yes, O‘ahu has freeways (officially Interstate Highways, although they don’t go to any other states). The freeways can become very congested when people are going to and from work, so it’s best to avoid them during commute times. 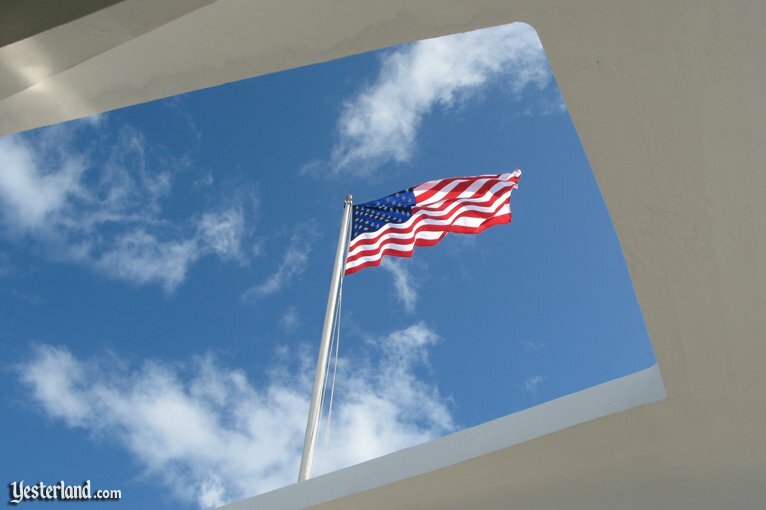 The USS Arizona Memorial is a moving tribute to the 1,177 crew members of the battleship who lost their lives when it was bombed on December 7, 1941. For almost all of them, the sunken USS Arizona is their final resting place. The 184-foot-long Memorial, which was dedicated in 1962, spans the mid-portion of the sunken battleship. Each day, the National Park Service distributes 4,500 free tickets. For many guests, that means arriving early, before the tickets are gone, watching the 23-minute documentary film, taking the boat ride to the Memorial, and getting back into their rental cars to the next attraction. Such visitors are missing a lot because theres a lot more at Pearl Harbor. In fact, you can make it an all-day visit. 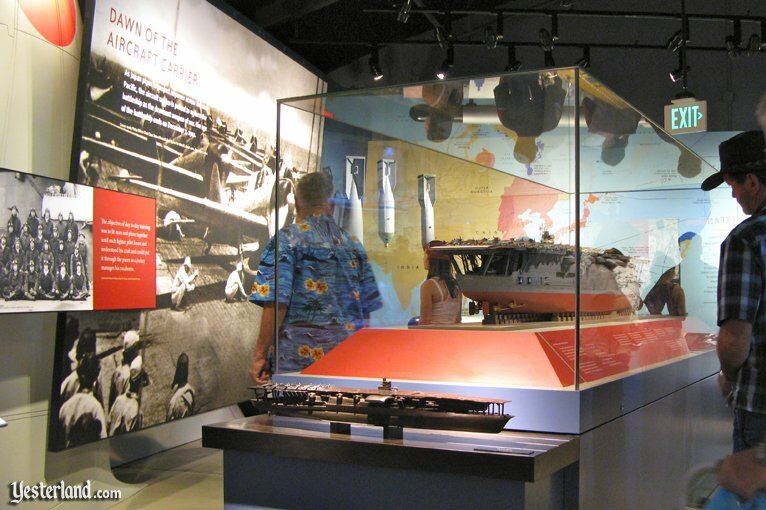 The big news for 2011 is that a new Pearl Harbor Visitor Center with a new museum opened at the end of 2010. The two main exhibits are “Road to War” and “Attack and Aftermath.” The exhibits do an excellent job describing conditions before World War II in the United Sates and Japan, the details of December 7, and the consequences. 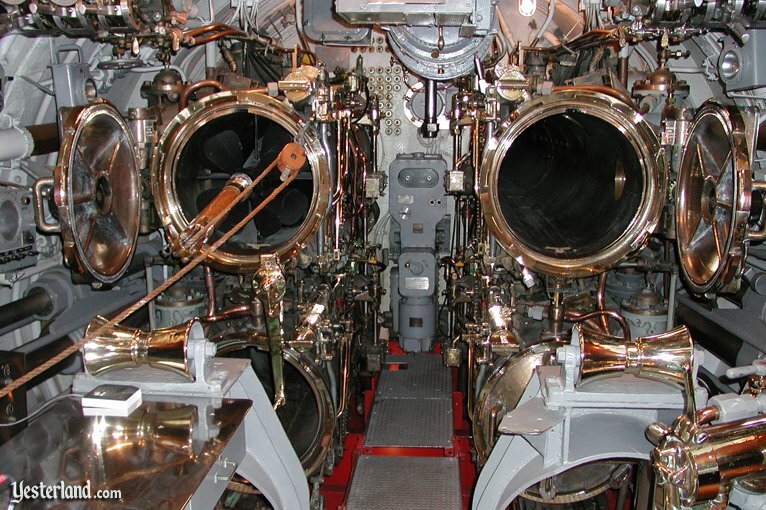 It takes at least an hour to go through the exhibits properly. 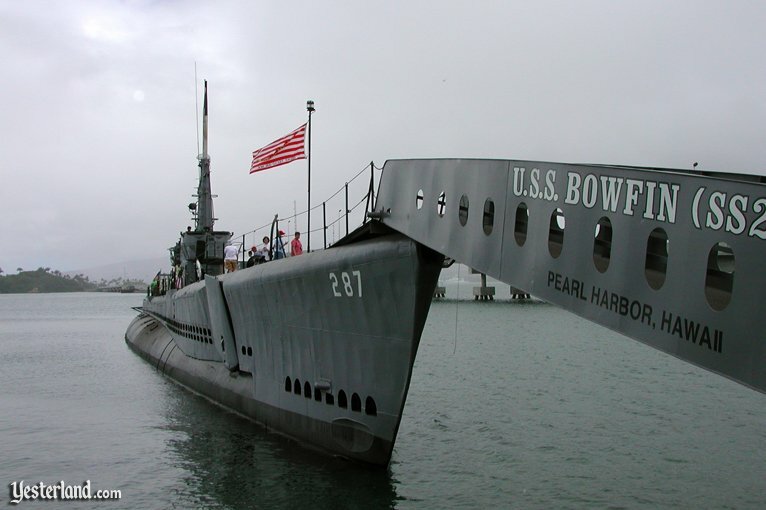 Launched exactly one year after the attack of Pearl Harbor, the attack submarine USS Bowfin sank 39 Japanese merchant ships and four Japanese military ships during World War II. Its well worth visiting. The battleship USS Missouri (“Mighty Mo”), commissioned in June 1944, served in World War II, Korea, and Operation Desert Storm before finally being decommissioned in March 1992. The ship is most famous as the location of the formal Japanese surrender ceremony on September 2, 1945, marking the end of World War II. You can take a self-guided tour or a guided tour. I recommend the guided tour. 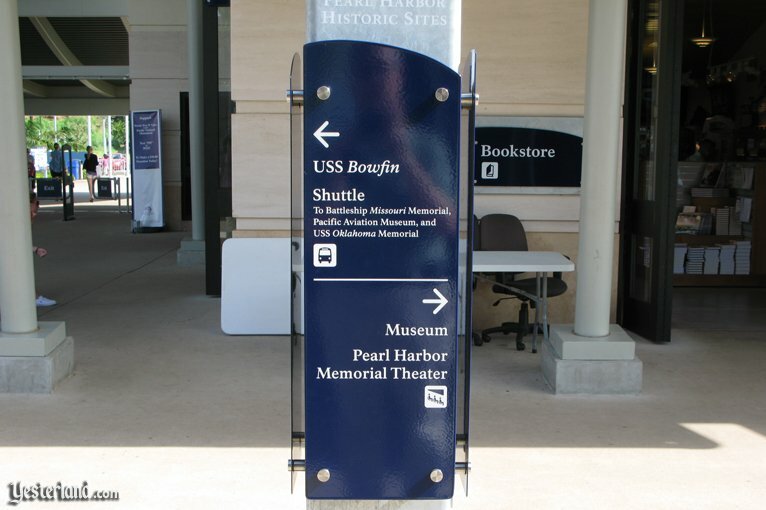 The sign above has an arrow pointing to shuttles for the Pacific Aviation Museum and the USS Oklahoma Memorial. I wish I could show you photos and tell you about them. However, I havent made it to either of them yet. 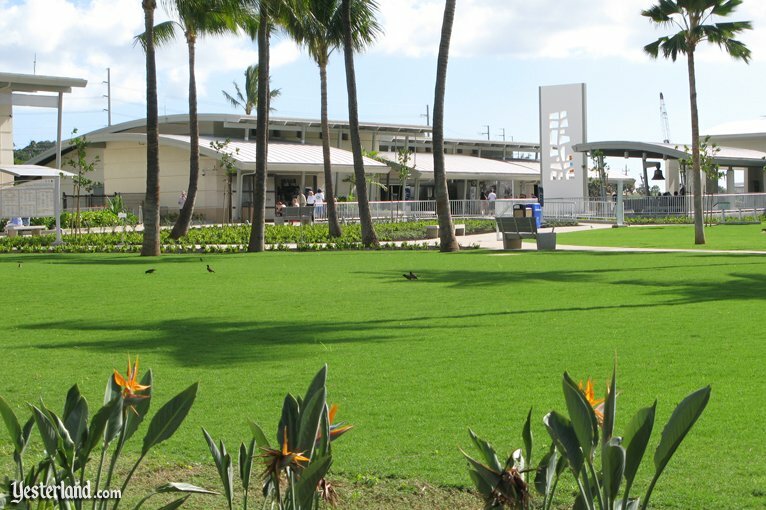 Its takes time to do justice to all that awaits visitors to Pearl Harbor. 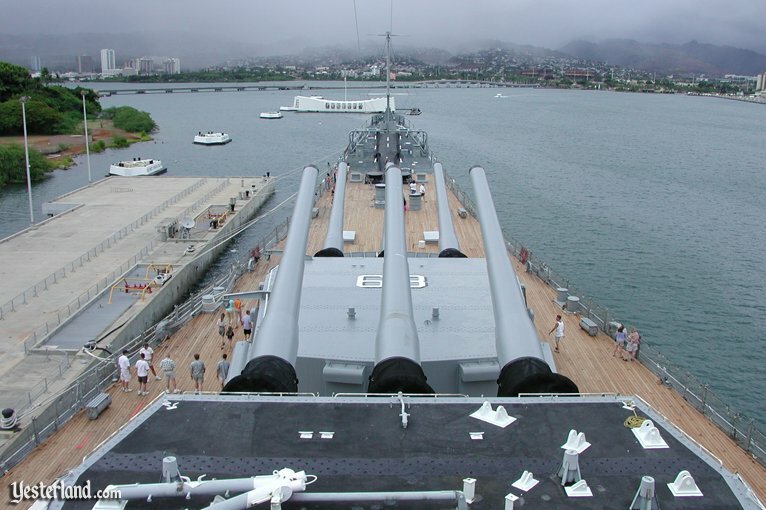 Nine photographs of Pearl Harbor: 2005, 2007, 2011 by Werner Weiss.